Sail Cowabunga! has moved forward in the judging rounds from SLUSH pile to the 2018 Journey Book Awards LONG LIST (aka the Slush Pile Survivors). The Long List has been implemented to accommodate the judges' request for an additional round of judging due to the number and/or quality of entries received. These entries will now compete for the 2018 Journey Semi-Finalists List known as the SHORT LIST. 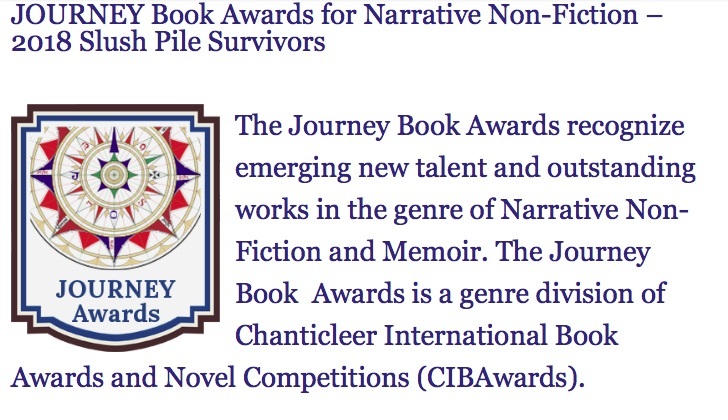 Short Listers will compete for the limited First Place Category Winners of the 2018 Journey Book Awards in the last rounds of judging and will be announced at the Awards Banquet and Ceremony on Saturday, April 27th, 2019.